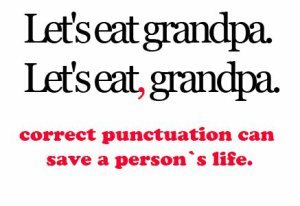 Anyway, I’m sure you’ve all read posts about how grammar is important—very true, given that you’ll be hard-pressed to get an editor to even look at your work if it’s full of comma splices, misplaced modifiers, and dangling participles. It’s all fun and games until someone eats grandpa. But there’s another, equally important side of grammar that no one really pays attention to: discourse grammar. “Normal” grammar looks at the structure of sentences and investigates how words and clauses fit together—discourse grammar does that, too, though such investigations are handled a little differently. However, one thing grammar discourse does that “normal” grammar doesn’t is that it looks not only at how words come together to form sentences, but how sentences form paragraphs, scenes, chapters, whole books.